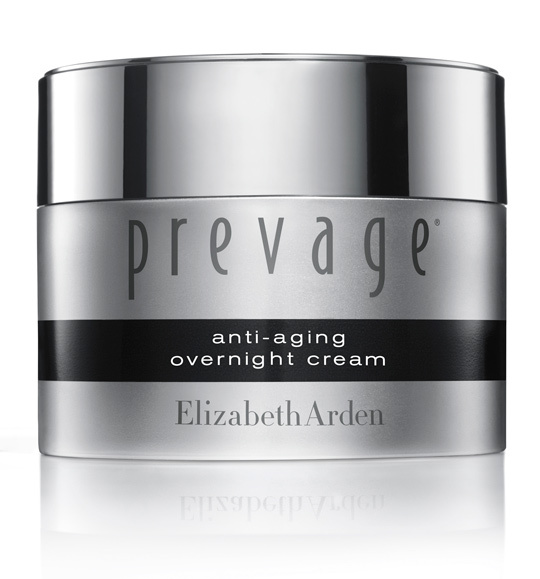 PREVAGE Anti-Aging Overnight Cream, Intensive Repair Serum… and a Giveaway! If you follow my blog, you have probably read about PREVAGE’s Anti-aging Treatment Boosting Cleanser. I am currently taking it for a test-drive and will report back on my experience, but today, learn about the complementary Anti-aging Overnight Cream and Anti-Aging + Intensive Repair Daily Serum, and best of all, a chance to WIN ALL THREE PRODUCTS! PREVAGE® Anti-aging Overnight Cream is an intensive overnight moisture cream, with advanced Idebenone technology, that synchs with your skin’s sleep cycle so it’s at work when your skin is most receptive to treatments. Reverse dryness with intensive moisture that lasts all night. Enhance your skin’s own natural nighttime repair process. Smooth, soften and retexturize your skin’s appearance. Restore skin’s natural resilience for a firmer look. Fight the visible effects of daytime environmental assaults – lines, wrinkles, discolorations and sun damage – giving skin a rested, restored, more radiant appearance. 93% felt softer, smoother skin. 91% felt a reduction in roughness and dryness. 86% saw an improvement in skin’s overall appearance. 86% reported skin looked refreshed. Prevage’s new, breakthrough correcting serum was chosen by 7 out of 10 women over the current market leader. Destined to become everyone’s new favourite, this proven serum works immediately and over time to counteract environmental damage and visible aging signs with a powerful combination of Idebenone and skin revitalizing technology. It works by helping support your skin’s natural collagen matrix. And, thanks to arazine – an exclusive new molecule — it actually SOOTHES your skin while protecting against free radicals and reducing signs of aging caused by chronic inflammation. With continued use, it significantly reduces the visible appearance of age spots, wrinkles and even deep lines. 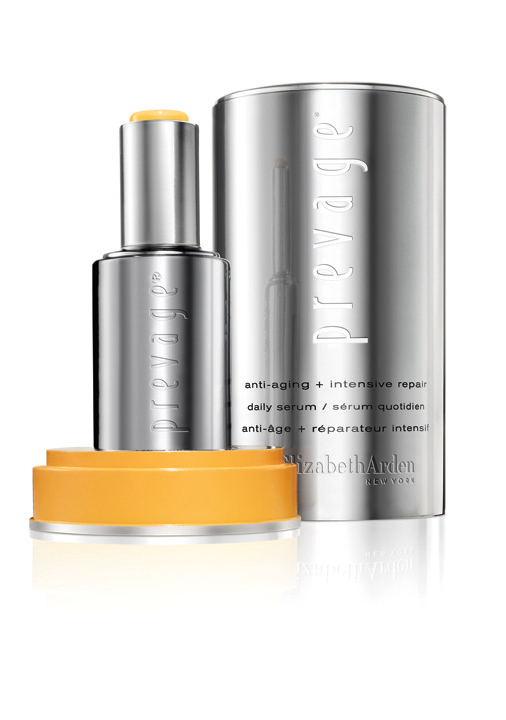 Best of all, it’s proven to enhance the performance of other PREVAGE® treatment products. For optimal results, use as the first step of your PREVAGE® regimen day and night. 90% of women reported that it soothes and calms skin, while also improving skin’s overall appearance*. Now for the best part? You have a chance to win ALL THREE PREVAGE products to try for yourself in the first part of my PREVAGE giveaway! Head on over to my Facebook page to enter, or enter the Rafflecopter giveaway ! Contest open to Canadians only (but if you have a Canadian address to ship the prize to, you can enter). For more information, head to Elizabeth Arden on Twitter, on Facebook, on Youtube and on Pinterest!